Here's some happy news for this Friday Night Lights alum! 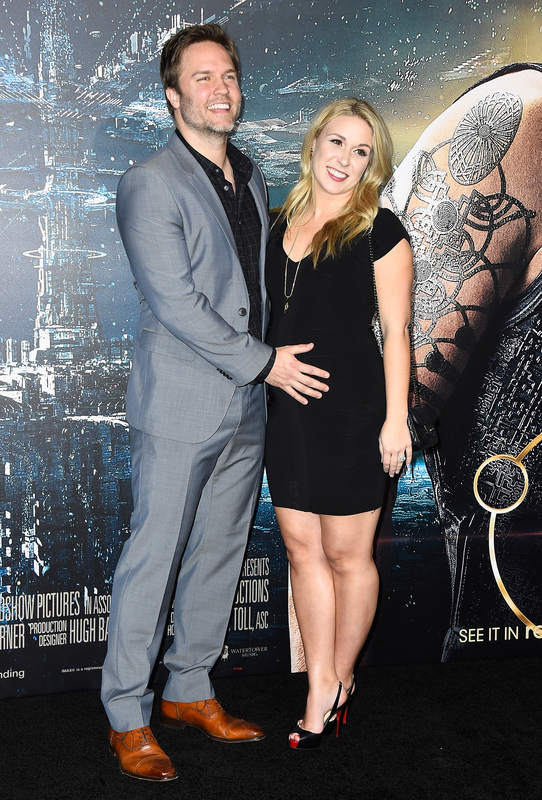 Scott Porter and Kelsey Mayfield are expecting their first child, his rep confirms to People. The married couple debuted their impending addition at Monday's Los Angeles premiere of Jupiter Ascending, as you can see in the below photo. Not only is Porter cradling his wife's baby bump, but he also looks over the moon. As we FNL fans know, there's no doubt Porter will be a great father. After all, he got a lot of practice on the hit football series, and (spoiler coming up) even had a little test run on the Parenthood series finale. Porter and Mayfield met on the set of FNL when he was filming and she was a cheerleader the University of Texas at Austin in 2008 and have been inseparable ever since. They tied the knot in 2013. Now, two years later, they are expanding their family with either a son or a daughter. For those who followed FNL, you know Porter embraced fatherhood as Jason Street. He went above and beyond to care for his child as a paraplegic and wouldn't give up until he was able to provide for his family. Also, during the very last episode of Parenthood ever (anyone else still grieving? ), we saw Porter pop up as Amber's husband and the father of one of her children. So, yeah, I think it's safe to say Porter has already had all kinds of practice and will definitely be a great father to his very own child. Oh, and if Porter ends up having a mini-Street, then, yeah someone better start making a baby jersey, stat.